As part of the Grinnell Corps, Grinnell College and Nanjing University hope to provide teaching Fellows with opportunities to know Chinese society well, to view their own lives and American society in a wider perspective, and to develop a lively sense of international citizenship. 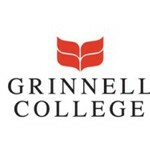 Each year Grinnell College appoints two of its graduates as teaching Fellows to assist for an academic year in the teaching of English at Number 11 High School, affiliated with Nanjing University in Nanjing, People's Republic of China. The Grinnell Corps' Nanjing Teaching Fellowship allows these graduates to work closely with Chinese high school teachers and students while living with foreign students in the Foreign-Student Dormitory. As part of the Grinnell Corps, Grinnell College and Nanjing University hope to provide teaching Fellows with opportunities to know Chinese society well, to view their own lives and American society in a wider perspective, and to develop a lively sense of international citizenship.